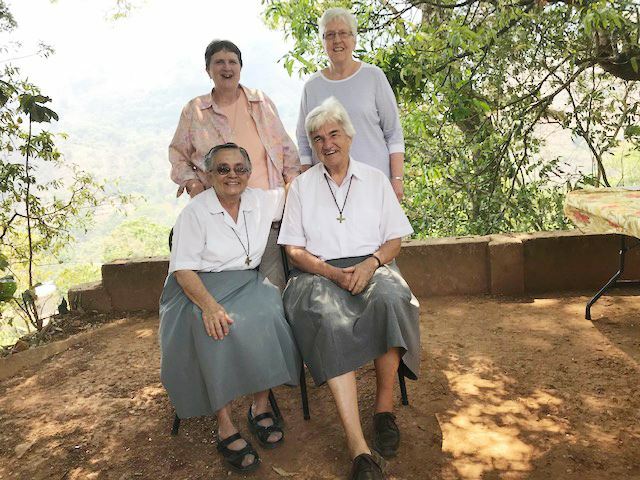 We, Sisters of Charity – Halifax, resolved over a decade ago to “pray, study and act to assure the just sharing of water for life on earth”. 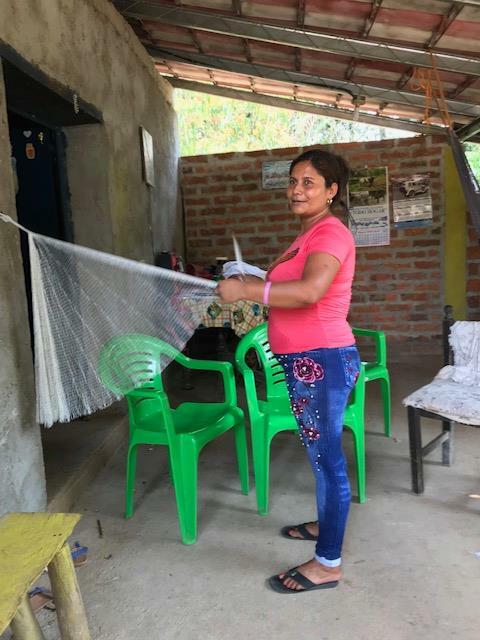 Since then, with the help of our many supporters and friends, we have funded Water Projects that have brought clean drinking water and sanitation systems to hundreds of families in Peru and the Dominican Republic. 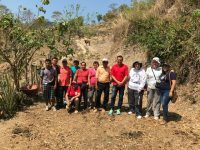 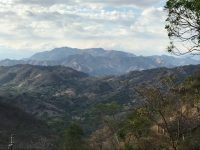 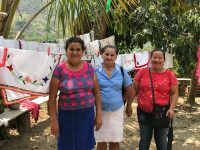 Follow our journey of our new relationship with the people of Chalatenango as together we begin a water project in El Salvador. 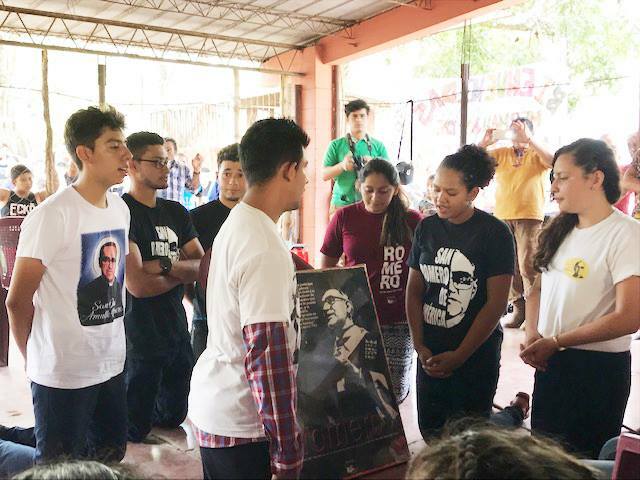 The joy and gratitude with which the communities received us was at times overwhelming. 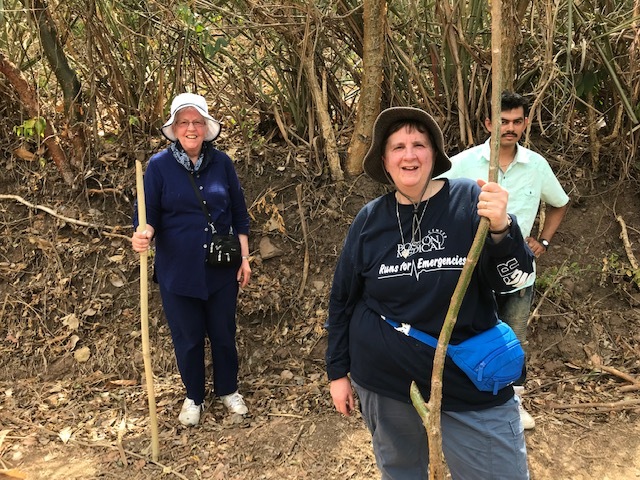 They were so eager to show us where the source of water in the mountains was coming from. 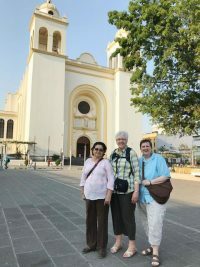 We would have loved to climb for two hours but it would have been impossible. 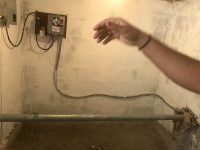 We did see where the holding tanks in each community would be placed so that every family would have water. 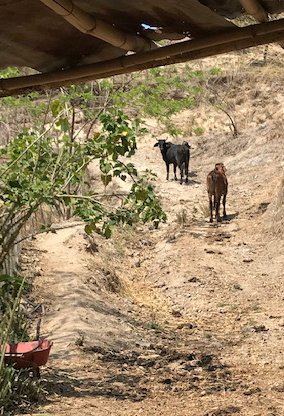 They are ready to begin digging the trenches as early as May 1st. 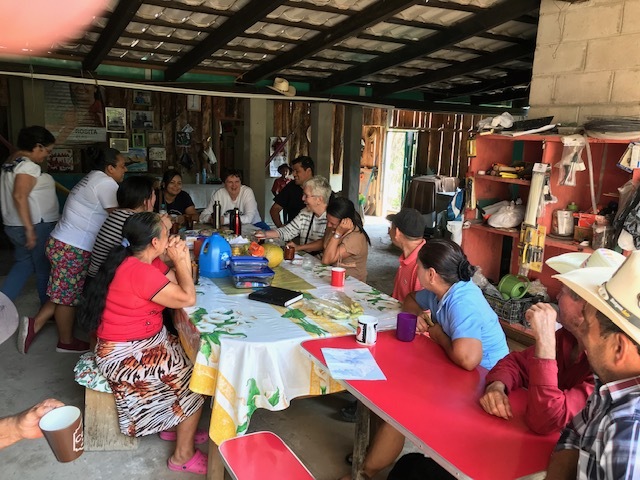 Each community has committees including one for water, women and youth which are well organized and keeps the communities unified and knowledgeable about what is happening in each. 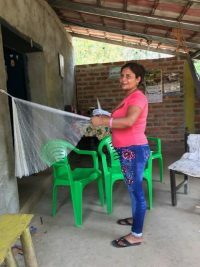 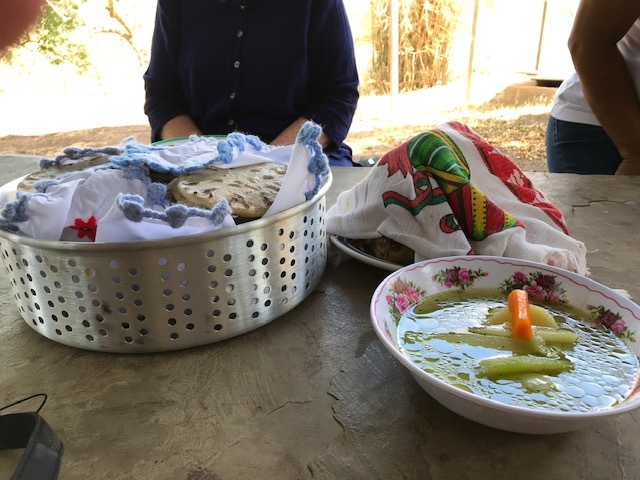 We saw women sewing school uniforms on contract by the government, others embroidering table cloths, others making cheese and planting fruit trees to sell; and another woman has two hundred laying hens to sell eggs. 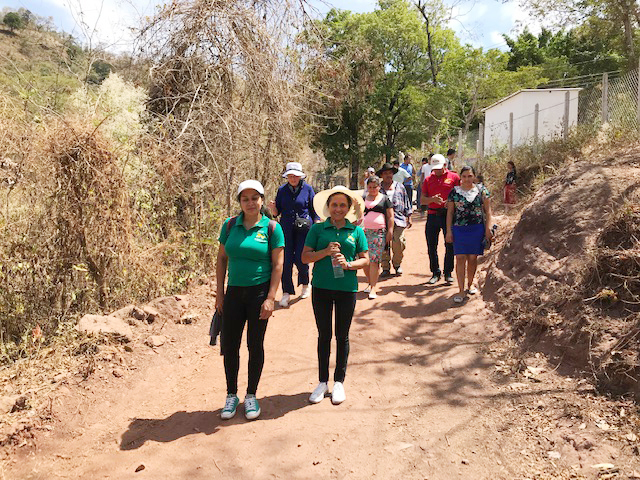 Children go to school in their communities until grade nine then to the city for high school. 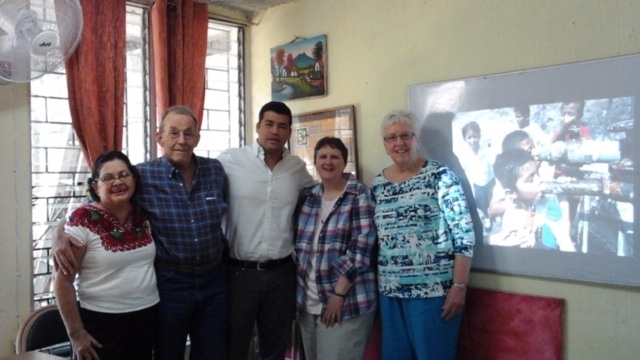 Some receive scholarships for higher learning. 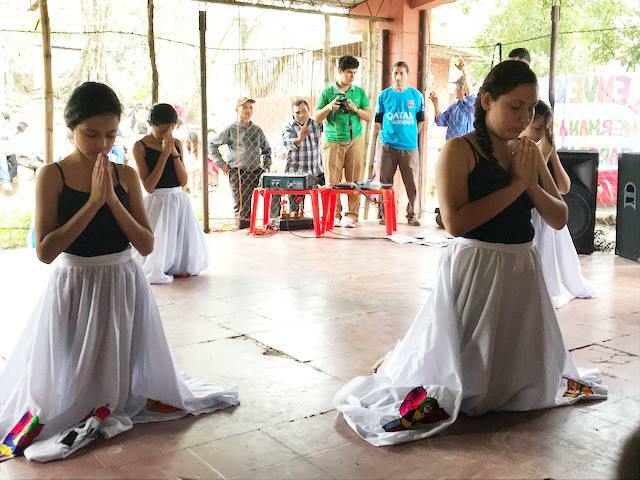 The celebration of the Mass with all four communities on Sunday was a highlight followed by a cultural actuation of dancing and theater. 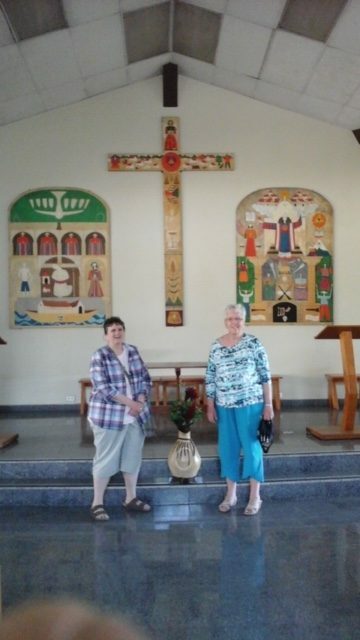 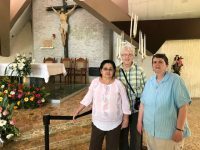 It was a delight to meet the women religious working in the area at the liturgy. 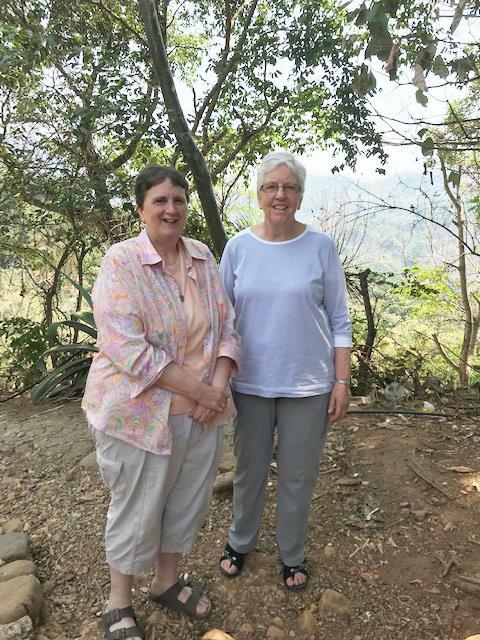 Sister Maryanne and I have no doubts that our support for this water project is received with deep gratitude. 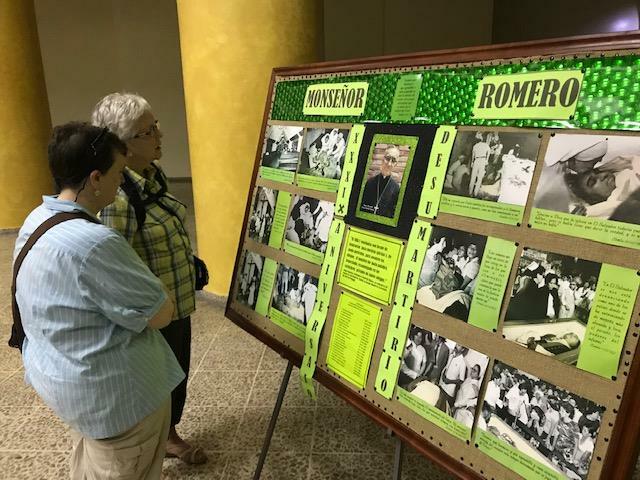 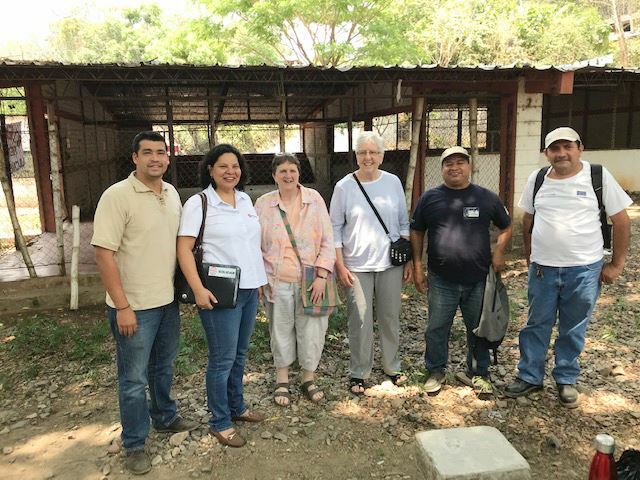 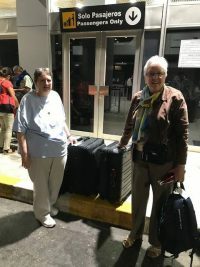 Words cannot easily express the experience Cecilia and I shared in El Salvador. For four days we were led up and down rugged terrain by foot and by truck so that we could see the locations and visualize how the water project that we were about to help fund would function. 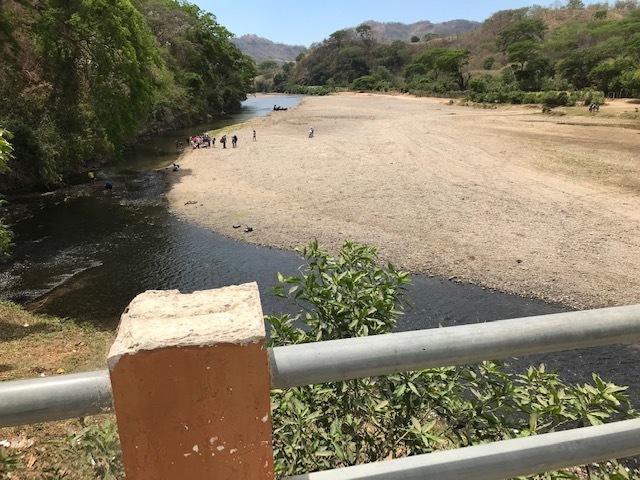 Luckily, we were able to visit a completed water project first which helped us to imagine what was going to be built in the different locations. 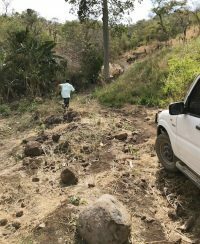 In most locations the building material and equipment will have to be carried by hand up the mountainside through rough terrain until they get to the site. 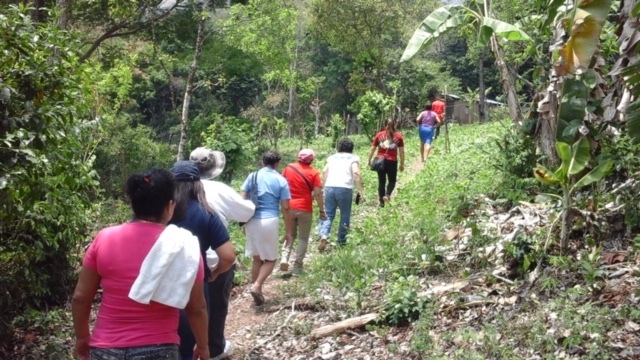 Then they will have to dig the trench for the piping all the way back down the mountainside to the four communities. 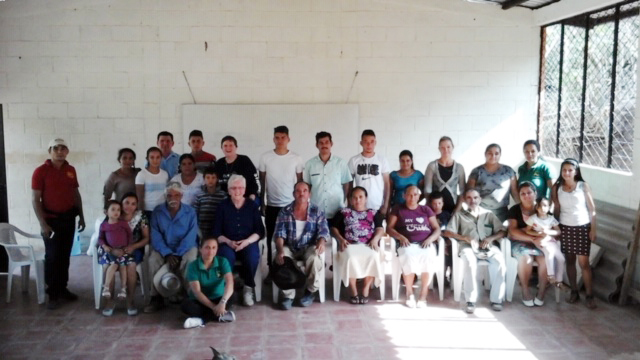 As I stand with these men and women, young and old, I can’t fathom what that work will be like. It was hard enough for Cecilia and me to get around on the “easier” terrain! 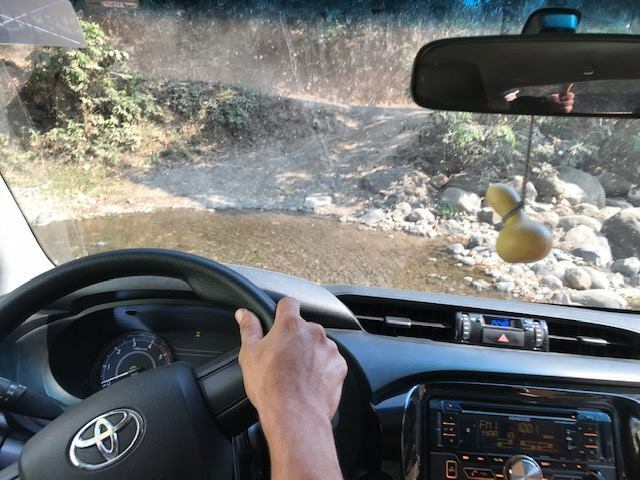 The only image I keep seeing is Jesus carrying the cross on the stony roads of Jerusalem pondering that what was happening would be for a greater good. 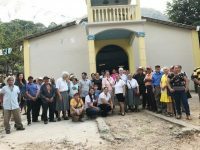 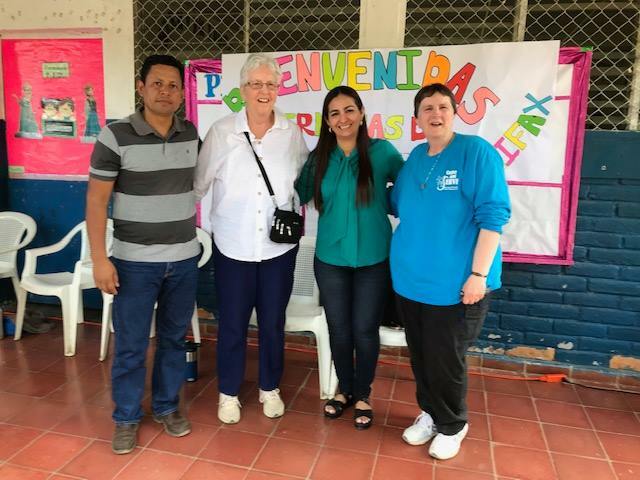 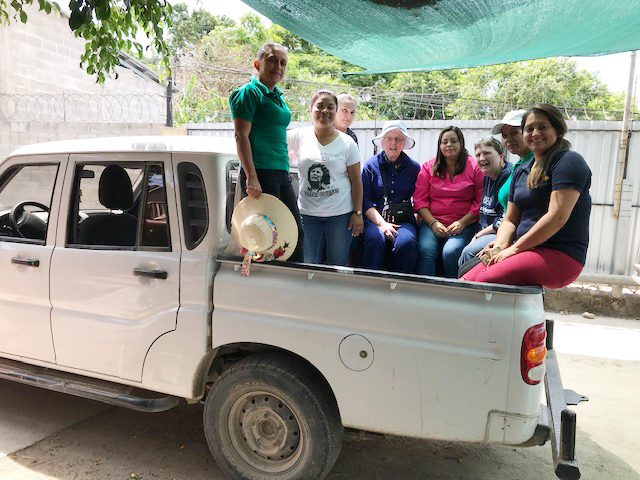 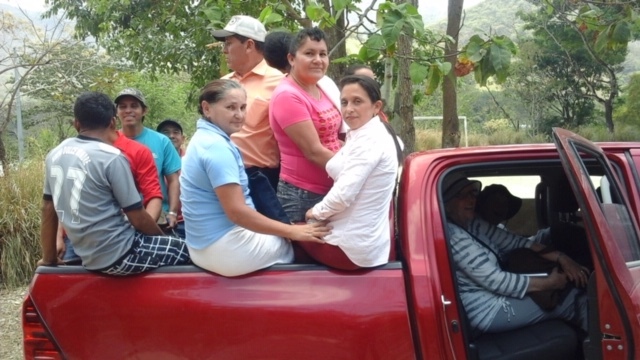 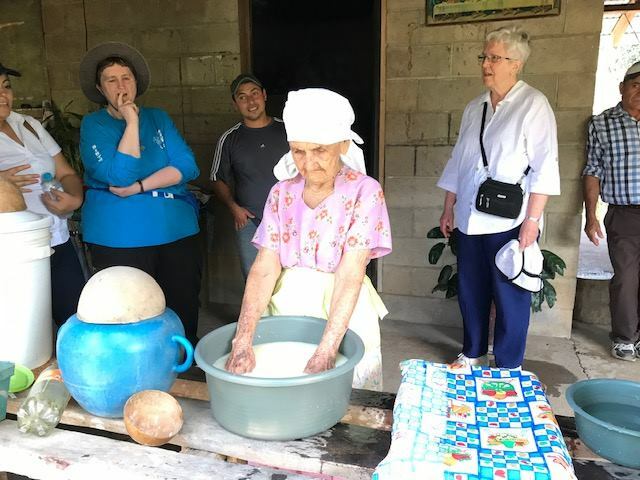 These incredible communities are working together for the sake of the whole, for a human right, for the necessity of water and we, the Sisters of Charity are a part of this endeavor. 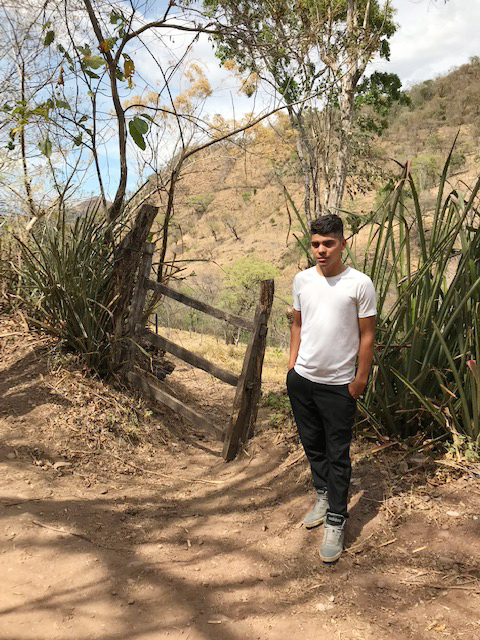 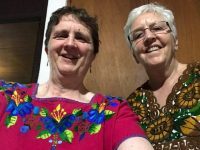 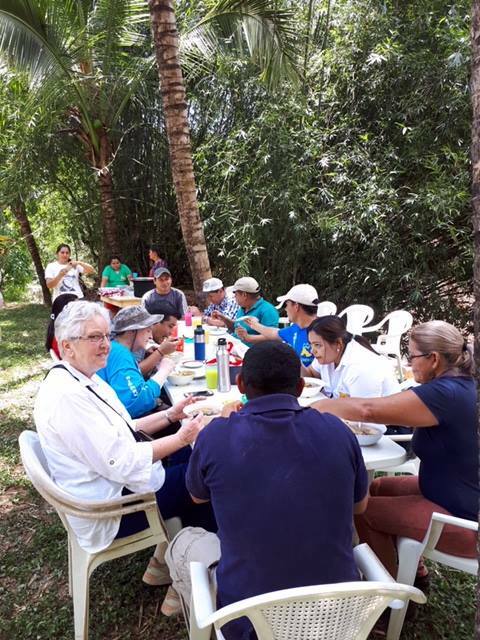 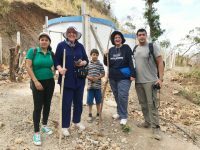 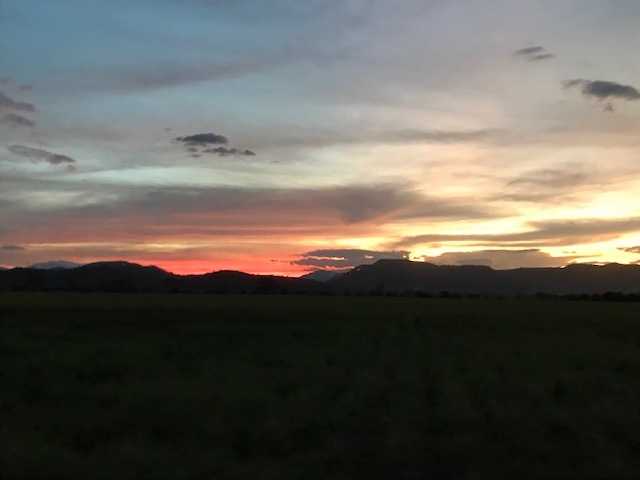 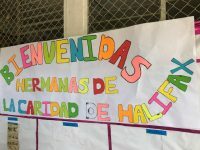 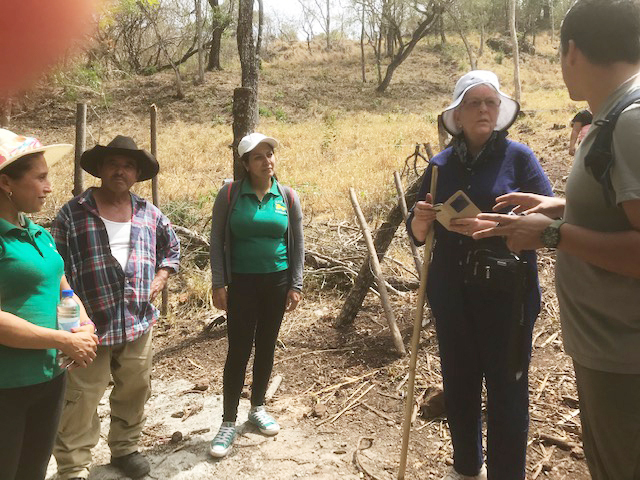 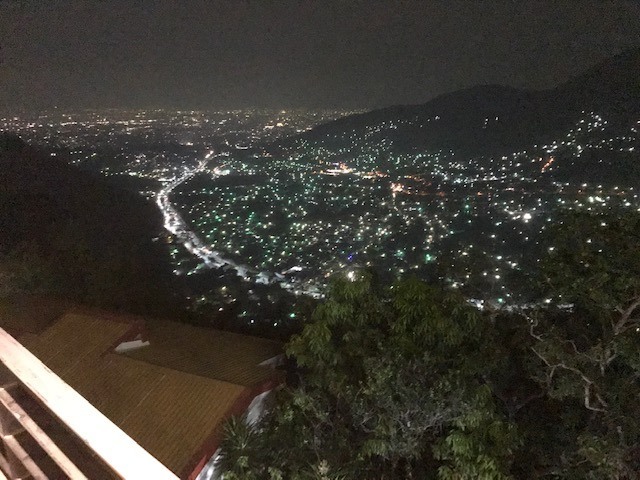 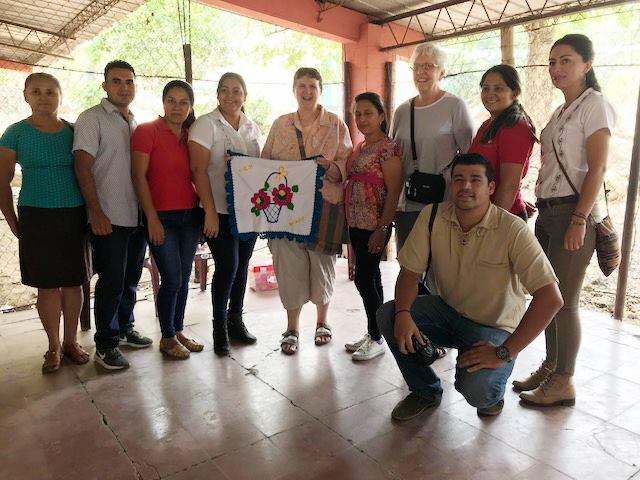 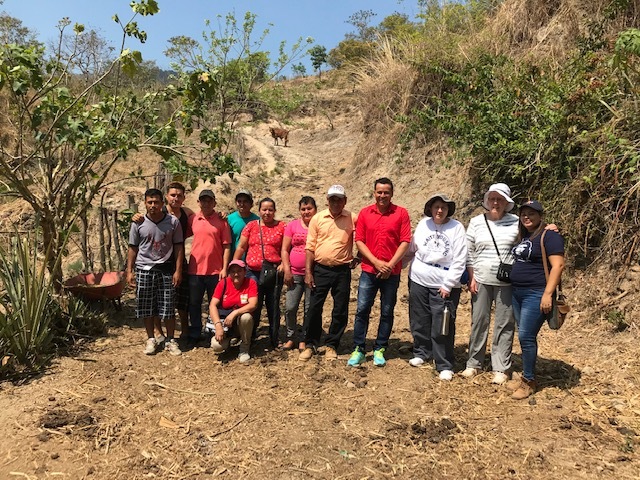 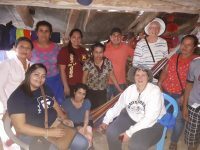 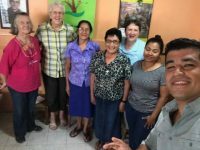 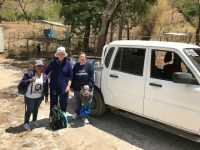 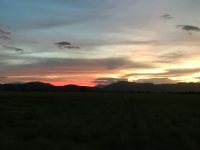 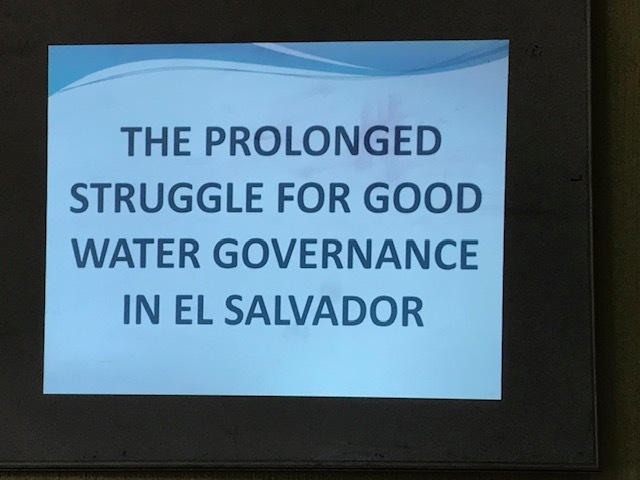 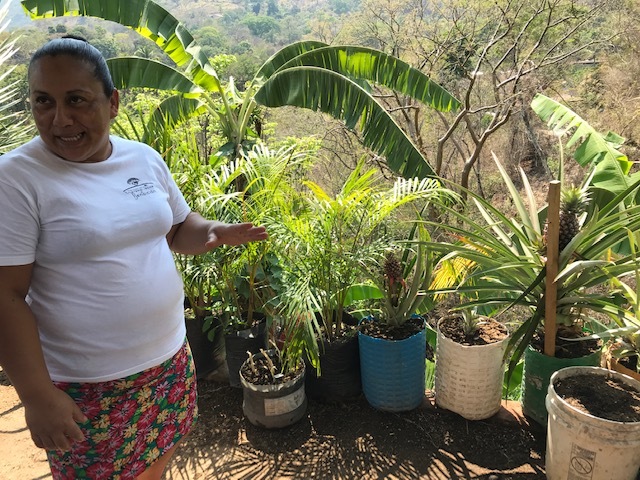 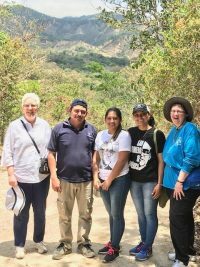 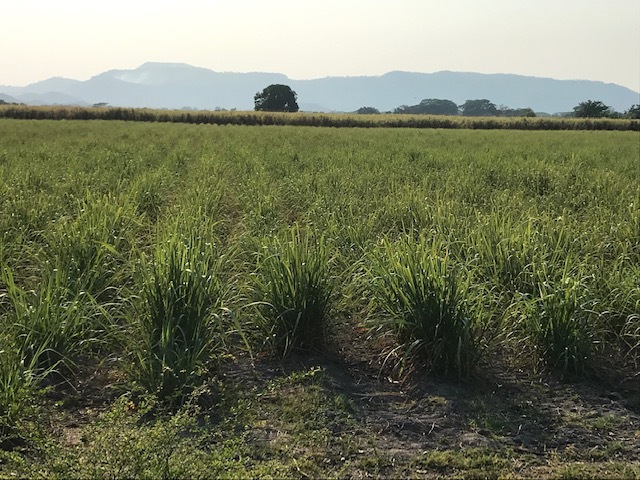 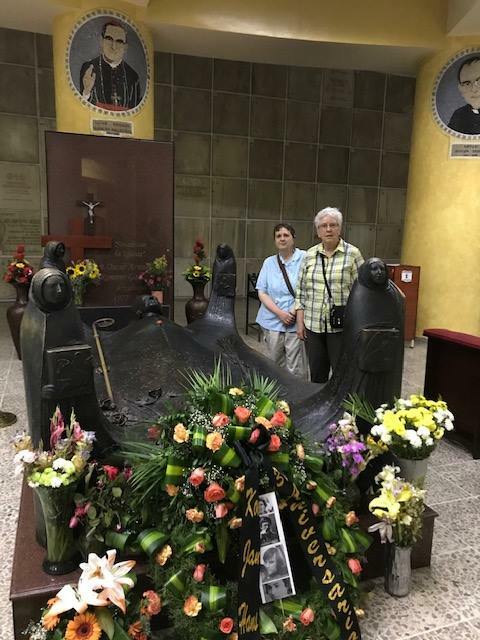 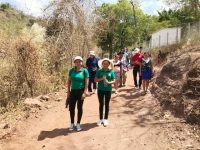 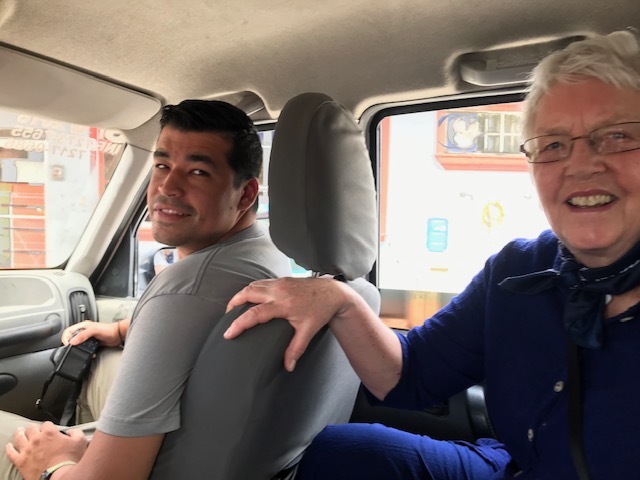 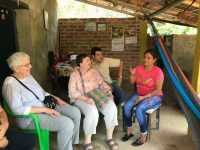 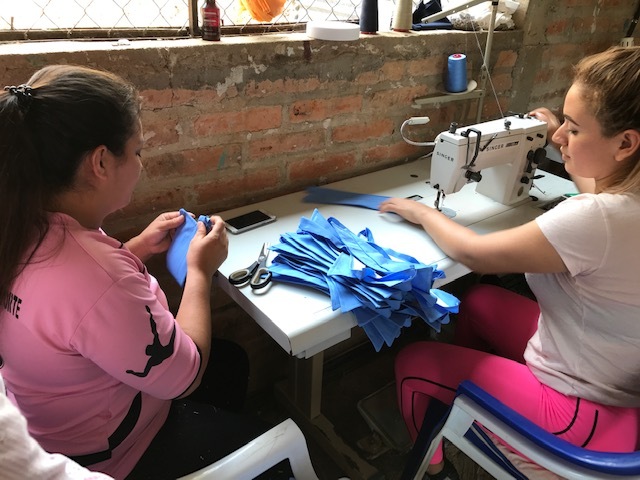 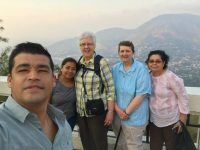 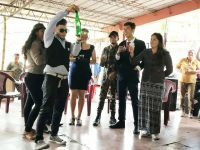 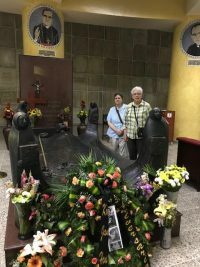 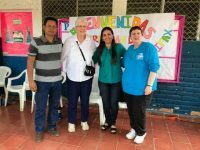 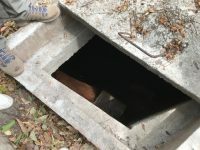 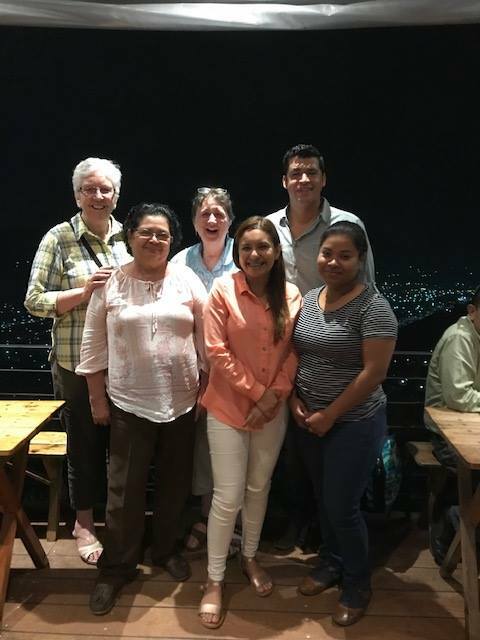 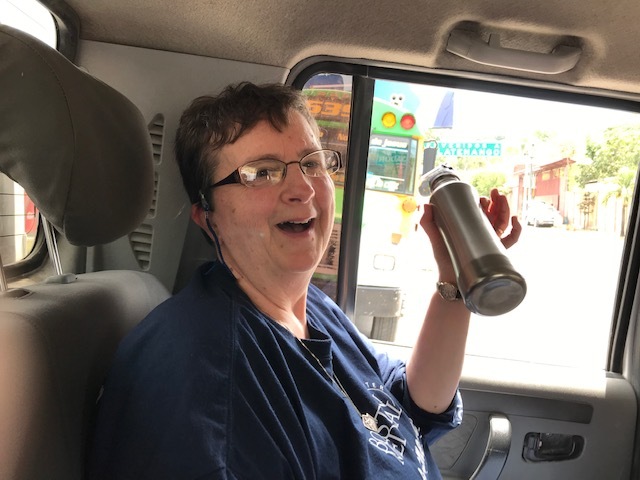 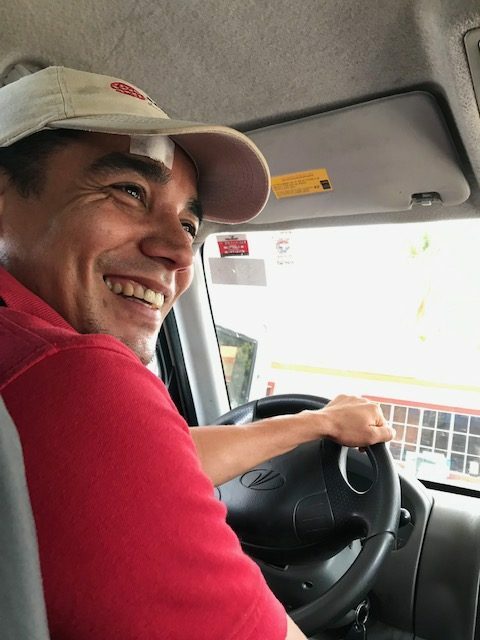 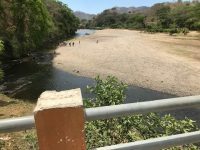 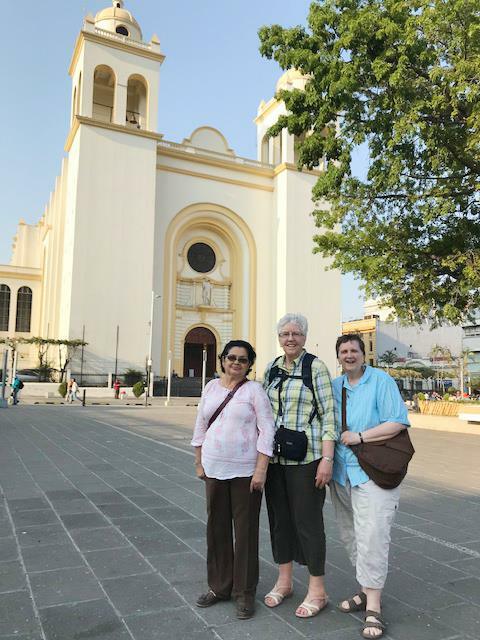 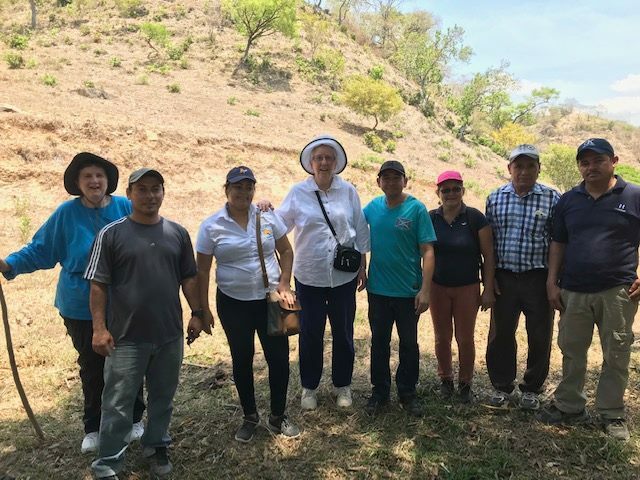 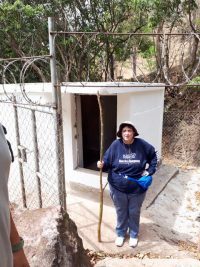 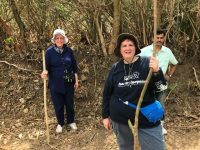 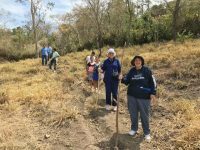 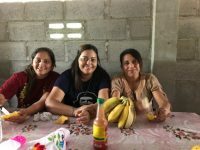 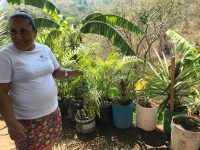 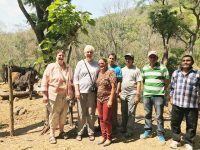 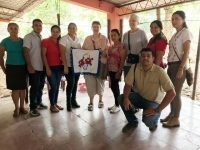 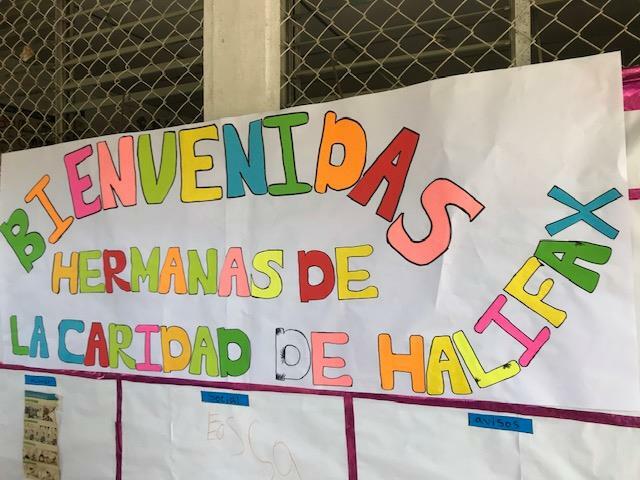 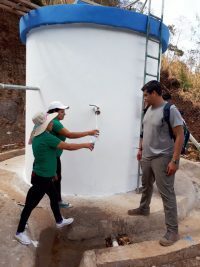 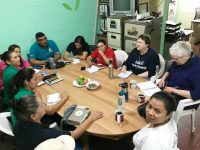 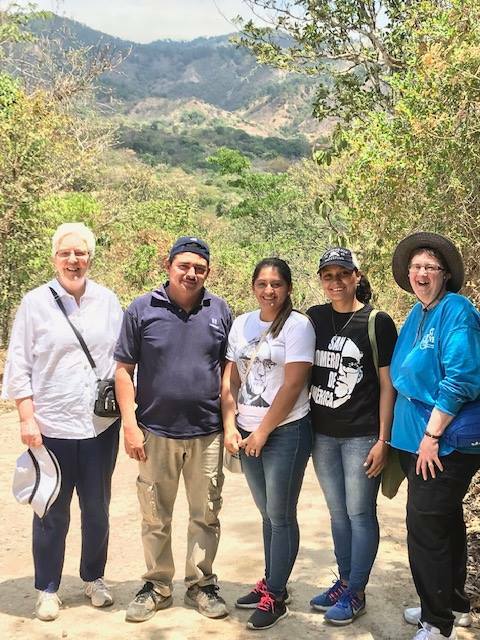 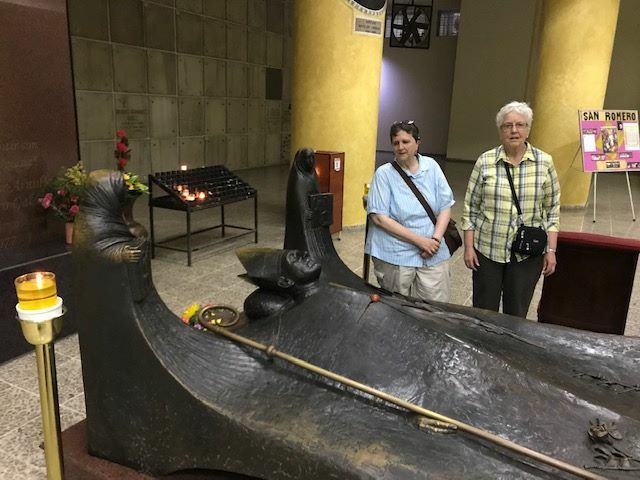 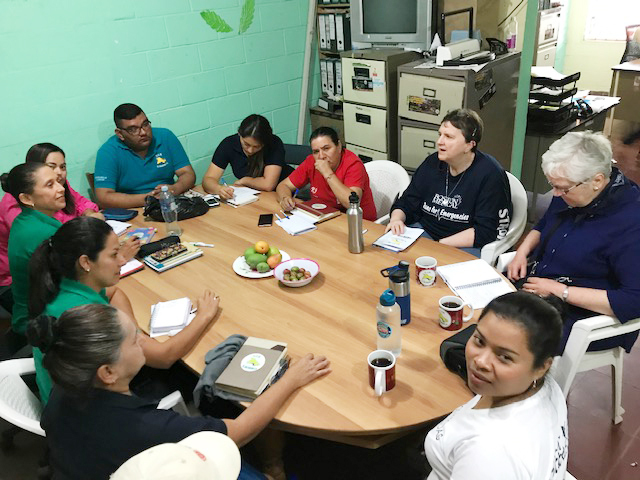 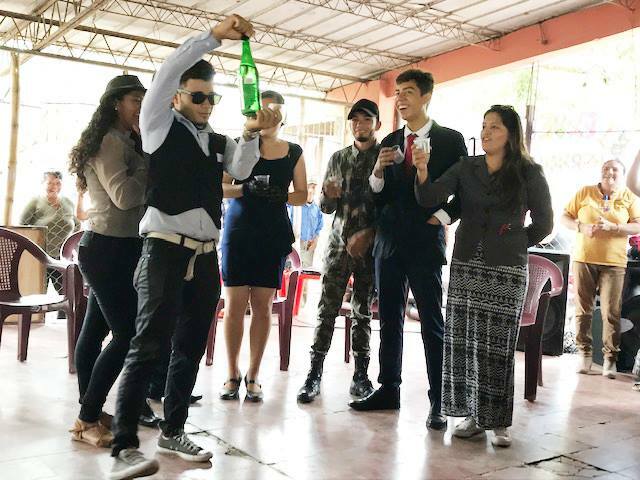 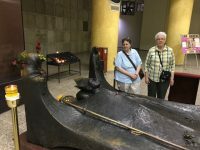 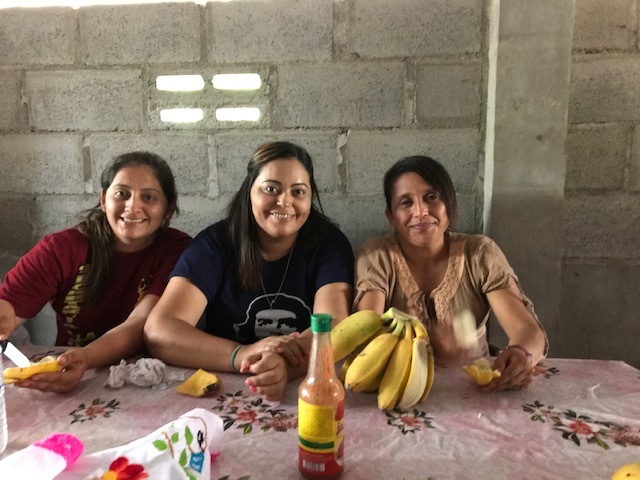 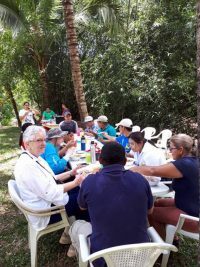 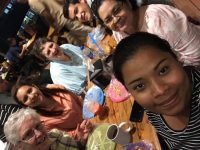 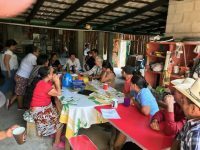 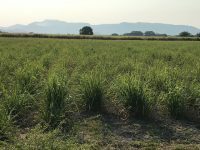 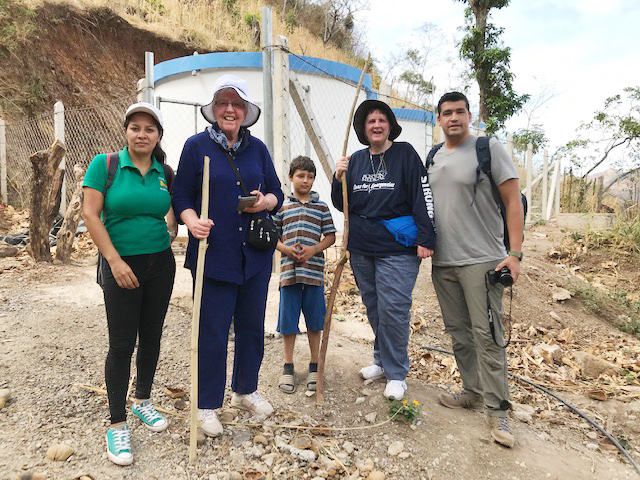 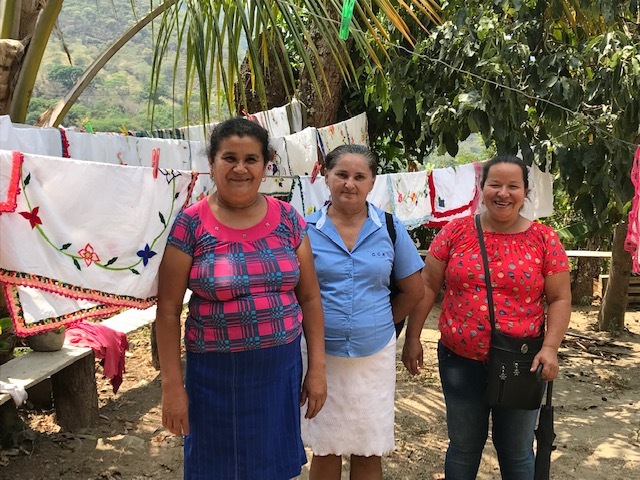 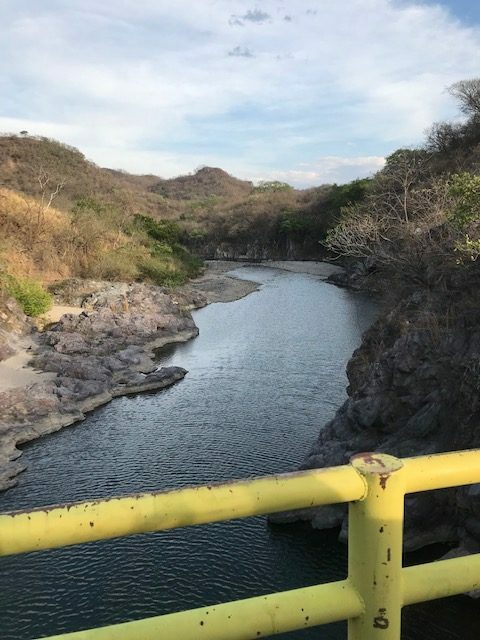 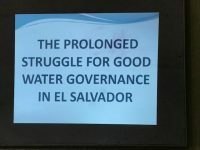 We had so many other experiences during our time in El Salvador but there is one other experience that was an important part of our journey during the exploration of the water project that I want to mention. 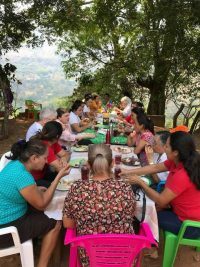 We were fed and dined at every location, usually in the midst of the natural beauty of the area. 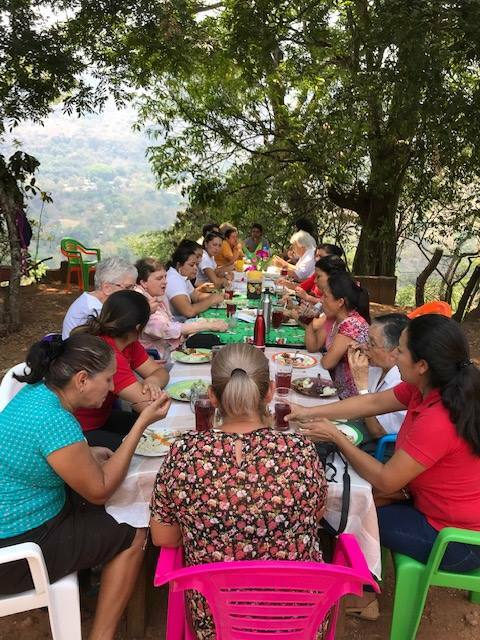 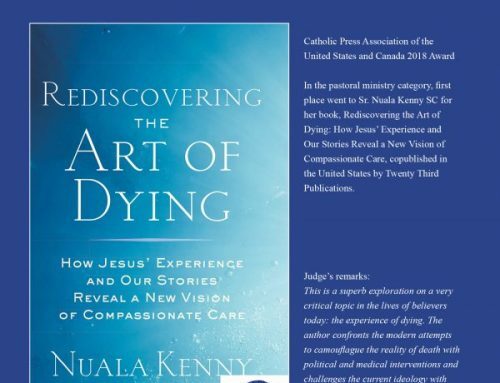 As we sat around the table each day, eating, laughing, crying and celebrating, I couldn’t help but think that we were sharing Eucharist with one another, breaking bread with one another… the Body of Christ blessed, broken and shared. Christ was so present in our midst and all were grateful for the relationships that have been fostered with the people of El Salvador.